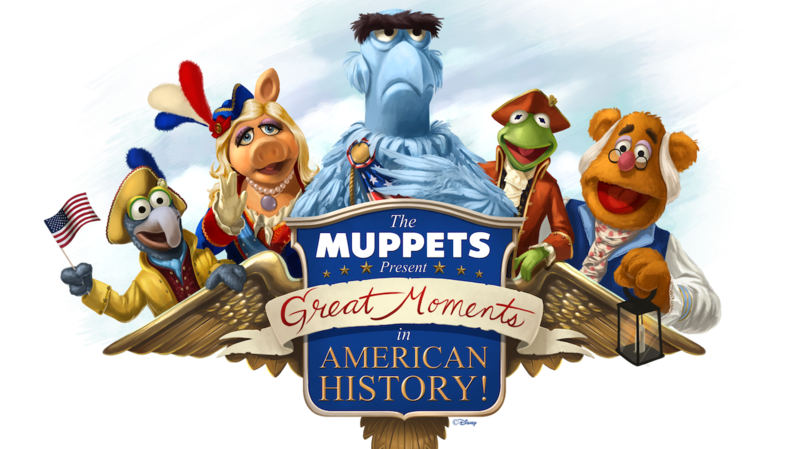 If you like some hijinks with your history, be sure to check out “The Muppets Present… Great Moments in American History” this fall at Walt Disney World Resort! How long will the show last? I am a huge Muppet fan, and I will be in the park in 2 weeks. Does anyone know if the show will still be there? So where exactly is this going to take over at? Is it a live action show or inside somewhere? 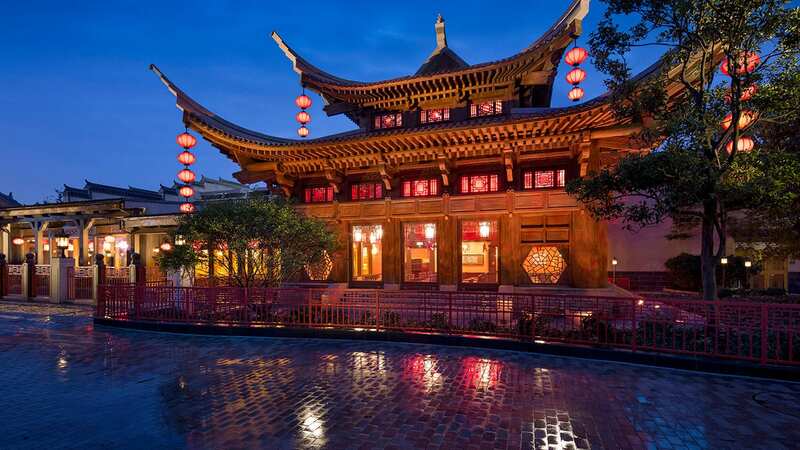 Kimberely – This is a live show that will be performed on the streets of Liberty Square, just outside the Hall of Presidents and Heritage House. I can certainty see where you are coming from. (I enjoyed the new ABC series too) You are correct that there are many people out there who are just fans of nostalgia, and I have been just as frustrated as you are when it come to that fact. But I think that there are still people out there who are interesting in seeing the Muppets do new things. Besides, the Muppets can’t just quit. I cannot wait to see both versions of the Muppet show in Liberty Square. The Midnight Ride of Paul Revere made me laugh out loud thinking how the muppets might interpret that one. I love the Muppets and I can’t wait to see it in November 2016! Even though I’m an Aussie, I think this will be great to see. Especially as I’ve always loved the wacky Muppets. Does this mean that there will be collectables featuring Sam the Eagle? He is my favorite Muppet and I am proud he is being given the light of day. Is it only going to be in the fall or will it be a permanent thing? Glen – This is planned to be an ongoing part of the regular entertainment offerings at Magic Kingdom Park. This is great! Now I just need the Pizzerizzo opening date and my Holiday trip plans can start falling into place. Nobody cares about the Muppets anymore. They had a fantastic new show on ABC recently, and nobody watched it because it wasn’t EXACTLY like the 1976 show. This won’t be either, so nobody will care. Muppet fans don’t exist. Every single one is just a Nostalgia fan. I love the Muppets! Sounds like fun. Would be awesome if there were a live Muppet show in California. I’m very excited about this. I’m a big American history buff and even bigger Muppets fan! Wakka wakka wakka! I am so excited to see this in November! Who wrote the original song used for the new show? Grant – The song, entitled “Great Moments in History,” was written by Valerie Vigoda and Brendan Milburn, who have also composed the new songs heard in “Mickey’s Royal Friendship Faire” on the Cinderella Castle Forecourt Stage. Will there be showtimes released for this or just ‘Shows every X minutes’? Adam – Show times will vary, but should be available on the day of your visit in the park’s printed Times Guide or on the My Disney Experience app. I would like this logo on every single possible item of merchandise. Will this show be interactive (like Turtle Talk with Crush)? Can’t wait to see this! I see Sam Eagle shenanigans on the horizon! I may openly weep if Gonzo makes an appearance. Love it. Heading out there Oct. 20th. I love the Muppets. Glad to see this new show will be added.